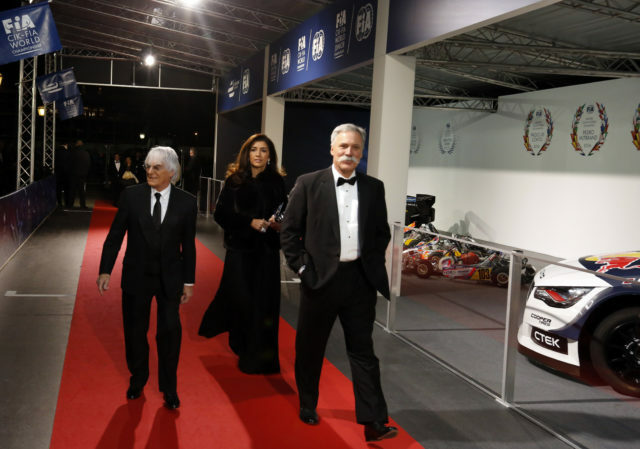 Formula 1 without Bernie Ecclestone is a concept that many were not likely to believe. Now it happened. Here are some of the reactions to this news. “Bernie Ecclestone used to joke that retirement would come on the day of his funeral but in the end it was an American businessman in a suit who quietly ushered Formula One’s 86-year-old ringmaster towards the exit. 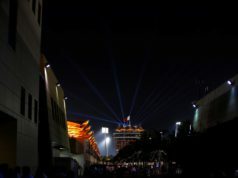 Formula One’s new U.S.-based owner Liberty Media on Monday completed its takeover of the sport’s commercial rights and with it ended one of the longest, most colourful and controversial reigns in global sport. Ecclestone was in motor racing since the 1950s when he entered a few grands prix as a driver but failed to make the grade. He was much more successful off the track, gaining control of the commercial rights to the sport from the 1970s onwards and profiting from a growing TV market and expansion into emerging regions. His mobile phone ringtone hinted also at his sense of humour, resonating to the tune of “The Good, the Bad and the Ugly” – a classic 1960s Italian Spaghetti Western that was just right for Formula One’s stone-faced “Little Big Man” and his endless quest for a few dollars more. By his own admission he was reluctant to delegate, preferring to act as a dictator — a man who did a deal on a handshake and had an aversion to emails. An avowed admirer of Russian president Vladimir Putin and U.S. president Donald Trump, Ecclestone was clear about where he stood. “Bernie Ecclestone stands a little under 5ft 3in (1,6m) tall but for 40 years has wielded a giant influence in Formula 1 with canniness, wit and not a little menace. At times, Ecclestone has had close to absolute power. So the end of his reign following the takeover of the sport by US giant Liberty Media represents a seismic change. Ecclestone, now 86, is a tactician of remarkable skill, and a deal-maker extraordinaire who used chutzpah and brinksmanship to turn F1 into one of the world’s biggest sports, form relationships with world leaders such as Russian president Vladimir Putin and make himself and many of F1’s participants multi-millionaires. But what made him mind-bendingly – some would say obscenely – rich is what brought him down in the end. There has been a feeling for some years that he is a man out of time, that the sport needed to move on. In truth, this has contributed to the stalemate in F1 – people were simply waiting him out. Many believe his departure will be good for the sport. However, it will certainly make F1 less colourful, and it is hard to imagine seeing the like of him again. Despite his diminutive stature, Ecclestone is a forbidding character. 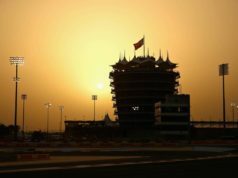 Stories abound in F1 of real and threatened menace. A conversation with him is akin to juggling sand – he ducks and dodges and avoids questions with obfuscation, distraction and quick wit, a dizzying mix of truths, half-truths and fallacies. For years, the more unsavoury aspects of Ecclestone’s stewardship were glossed over or laughed off – largely because he was making those he was working for so much money. But in recent years, the tone in F1 has changed as more and more people began to feel he was past his sell-by date. He was a reluctant embracer of the internet age. Others argued that his modus operandi of pursuing only the deal, the bottom line, and disregarding its potential longer-term effects was doing more harm than good. Controversial he certainly was; past his best he may have been. But for all his faults, Bernie Ecclestone is a unique and titanic figure who turned what was essentially a niche activity into a glittering global enterprise that to many represents an intoxicating mix of glamour, danger and raw, unmatched drama. Bernie, mega job! But a change has been overdue. Mr. Carey, all the best in making our sport awesome again. ?